The Zimskhang Holiday Home as an area , it has a spectacular environment with a garden lawn and terrace with an amazing view of the surrounding snow capped mountains. 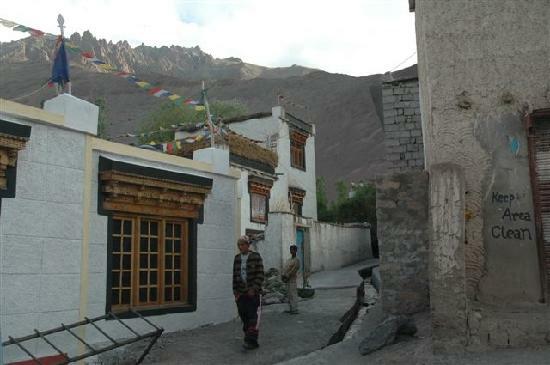 Zimskhang Holiday Home is located in the beautiful Village of Alchi about 4 Km away from the Leh- Kargil Highway. Zimskhang is among the most popular hotel known for offering breath taking views of the surrounding. The hotel has a garden lawn and terrace where guests can breathe in the unpolluted air and enjoy the endless views. 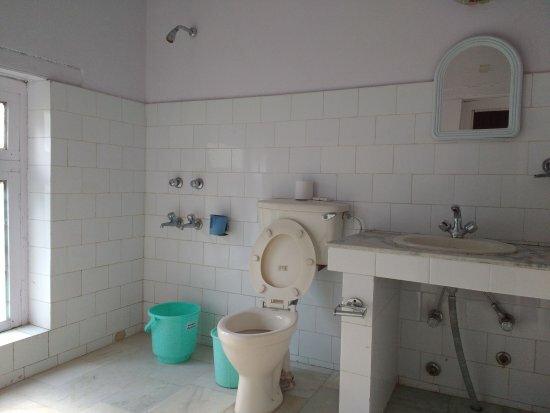 The hotel features 16 well kept and clean rooms that have an attached bathroom and include the basic amenities. Guests can enjoy Indian, Chinese and Continental cuisines at the hotel’s garden restaurant. 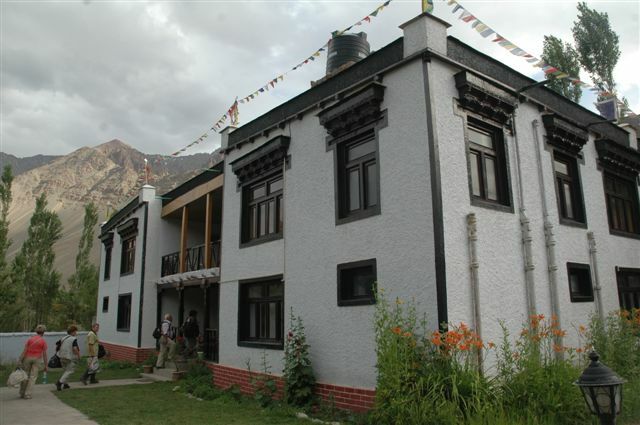 Zimskhang Holiday Home will make your stay a pleasure in the unique Himalyan Kingdom. Leaving behind the city pace, unwind yourself in the clean fresh air. 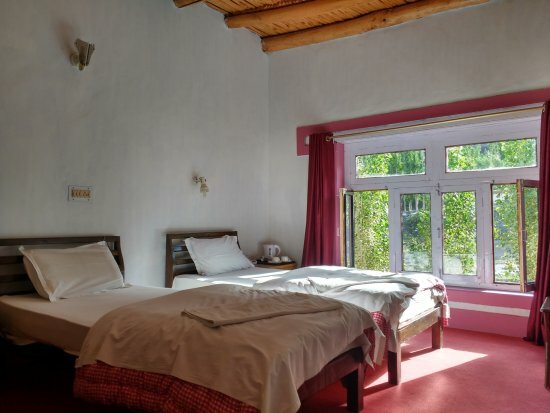 Zimskhang Hotel Alchi is located about 5 kms from the Choksor, in front of the Alchi Monastery, this beautiful guesthouse Zimskhang Holiday home, is the newest building in village and offers scenic views of the Himalayas and the Indus River. It is a comfortable upper end holiday home, with a relaxing accommodation in its spacious 8 double-bedded rooms having hot showers and also sporting a nice garden. Facilities includes camping site for tourists, local sight seeing arrangement, taxi on hire, trekking assistance, internet services, cultural show on demand etc. Zimskhang Hotel Alchi presents their own garden restaurant which serves Indian, Chinese, and Continental food with grand range of variety and unforgettable taste.